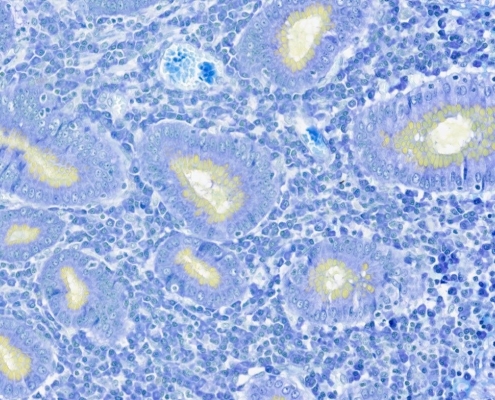 To innovate high performance digital imaging solutions – from digital inkjet label presses to digital pathology scanners – requires contributions from many engineering disciplines and a good knowledge of the physical principles that lie behind them. 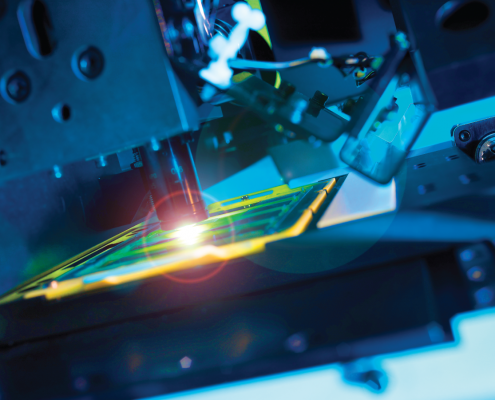 The engineers, mathematicians, physicists and chemists at FFEI together share a phenomenal level of expertise – optics, imaging, colour reproduction, ink chemistry, fluid-surface interactions, fluidics micro-engineering, materials, electronics, software, standards and regulation. Most importantly FFEI’s talented workforce knows how to integrate all these aspects into innovative, ready-to market solutions. Our wealth of experience means we are able to manipulate system technology to ensure images/text print as expected/desired or ensure the same high level of image quality is captured over and over again – regardless of speed. For example we understand how to compensate for variances in print heads, such as nozzles firing differently, or standard lens distortion, where we can compensate for lens effects to produce standardised image. Representatives on a number of industry committees ensuring all developments are standards driven. 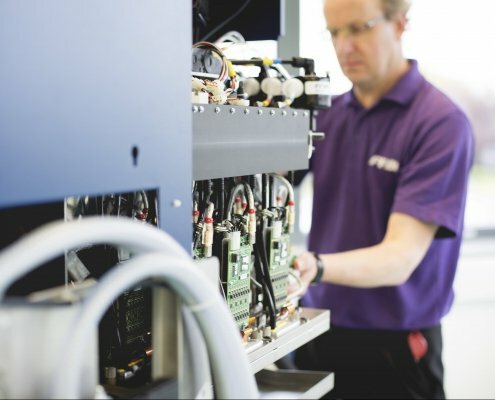 FFEI are experienced in supplying CE marked equipment, meeting the requirements of a range of European Directives including; the Machinery Directive, In-Vitro Diagnostic Directive, EMC Directive and RoHS Directive. We also design and manufacture ETL listed products. An active member of the ICC, we are innovators and thought leaders in the field of colour science and ensure everything we produce adheres to ICC standard – prints to the desired colour as defined by ICC and calibrate scanners to display the rights colours. In our inkjet business we have designed and manufacture a high-volume ink supply system which automatically controls the ink temperature, meniscus pressure and flow rate at least 12 inkjet print heads with refilling from 5L containers. 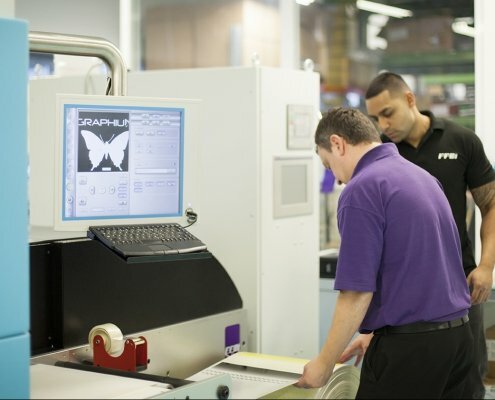 The system used within our Printbar Uncovered technology is a prime example. 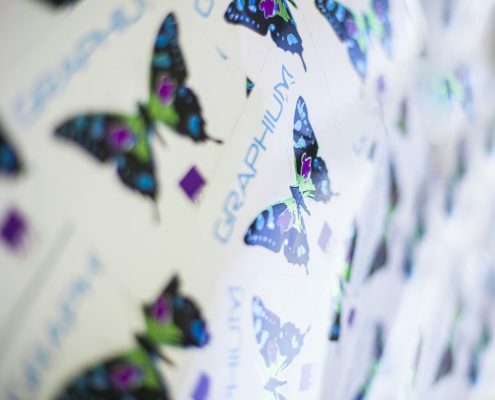 Whilst we do not manufacture inks, the high print quality produced by our systems comes from our deep understanding of ink performance across a number of variables – speed, temperature, substrate. We work incredibly closely with our chosen ink partners, enabling us to optimise equipment to make the best use of ink and ensure printed material is fit-for-purpose – vibrant colours, light fast, scratch resistant, chemical resistance. Electronics is central to everything we do. 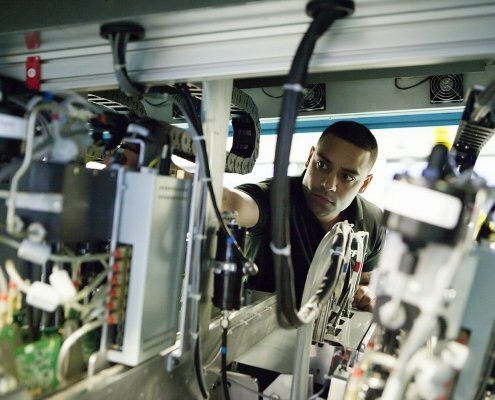 Our capability includes; designing both analogue and digital systems; EMC control; high speed functionality; camera systems, PCB design; low cost development and risk – depth of experience means we can utilise proven technology and design. Precision alignment is key to performance. 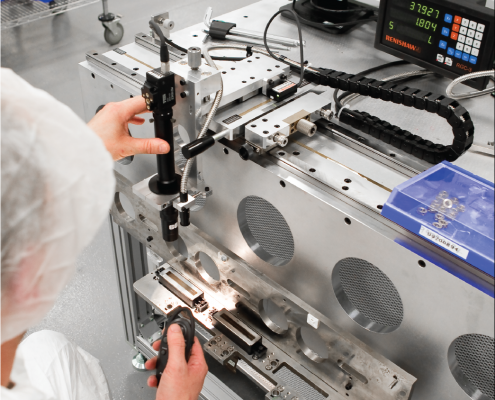 To increase the accuracy of component alignment we invest time designing and producing special equipment to position components and develop measurement tools to check placement – knowing where you are and compensating in real-time. We are committed to continuously enhancing the technology and products we produce. Everything we do follows strict quality managed processes, including new product development. 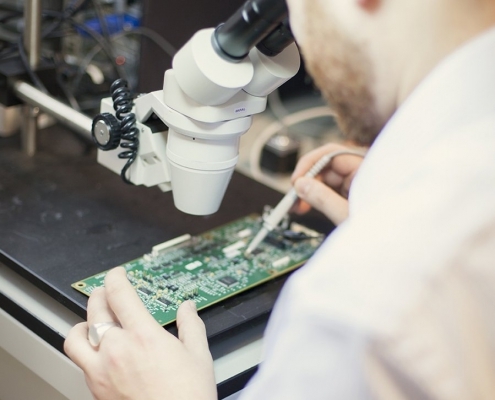 By doing so we can ensure that throughout the three NPI phases – innovation, development and manufacture – we achieve the desired product quality, cost and performance targets. Please get in touch – one of our new business development managers would be happy to answer your questions.